Can’t wait until the 50th anniversary episode. A few weeks back I got invited to a blogger’s launch event for Lifetime UK, a new UK TV channel aimed at women. It was a fun evening of learning how to make cocktails and meeting other girly/geeky bloggers. The new channel launched last week on channels Sky 156 and Virgin 242 with a couple of great shows. I love the look of Witches of East End! It stars Julia Ormond, Jenna Dewan-Tatum, Rachel Boston, and Mädchen Amick as a family of (obviously) witches. It definitely looks like a show I should be watching. I’ve also heard interesting things about The Client List, although it just got cancelled in the US. It stars Jennifer Love Hewitt as a struggling mom who start working at a massage parlour that do more than just massages. Witches of East End is aired each Tuesday at 10pm, while The Client List is aired Mondays at 10pm. If you haven’t seen them yet, the first episodes of both shows though are airing tonight at 9pm and 10pm. Those are just the shows that I have my eye on; to see a full list of what Lifetime are showing, check out the new website. It’s that awesome time of the year again when our beloved TV shows return back to our screens and we get introduced to a bunch of lovely potential new addictions. There are a ton of new shows this year and as always it’s going to be interesting to see which ones survive and which ones don’t. I’ve highlighted only the shows that I’m going to attempt to watch, but there are quite some others that will also premiere this month. There aren’t that many good scifi shows on TV and I love the look of Almost Human. It reminds me a bit of Total Recall 2070, but visually looks much better. Fingers crossed the story is good and not just a murder-a-week type show. After one of the FBI’s most wanted fugitives (James Spader) surrenders in person at FBI headquarters, he claims he wants to work together with the FBI to take down the world’s most dangerous criminals and terrorists, but will only talk to a rookie FBI profiler… The setup is intriguing and I’m guessing it will go down the “can we trust this guy” route for at least the first season. Yay, Michael J Fox is back on TV and in his own show! This looks hilarious and I think it’s going to be awesome. Want to bet that he gets nominated for the Emmy’s and Golden Globes next year? I’m not convinced by this trailer yet, but I’m willing to try it out, purely for the combination of Robin Williams and Sarah Michelle Gellar. I still need to finish the last season of The Vampire Diaries, but I’ve always loved the characters that this spinoff will be revolving around. Klaus has always been more evil than likeable though, and I’m curious to see if he can carry this show. I’m cheating a bit with this one here, cause Intelligence is only going to air mid season. I love the look of it though, despite having to throw a healthy dose of suspension of disbelief at it. 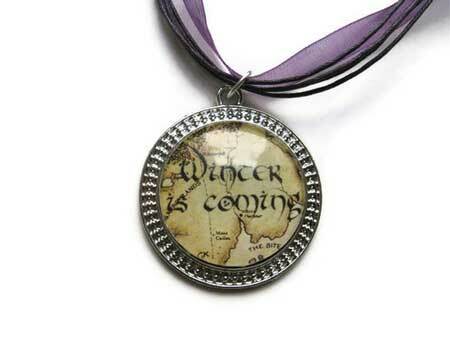 Season 3 is coming… It’s only 2 more months until Game of Thrones returns! Weirdly enough they still haven’t released a proper trailer yet, but one is scheduled for February 24th (sort of, HBO On Demand will have the trailer on the 25th, meaning it will have debuted online at least a day before that). I’m surprised that HBO are leaving it to only a few weeks before the actual air date; it’s one of their most popular shows, wouldn’t they want to promote that a bit more? Or do they have so much faith in it that it doesn’t require any marketing? 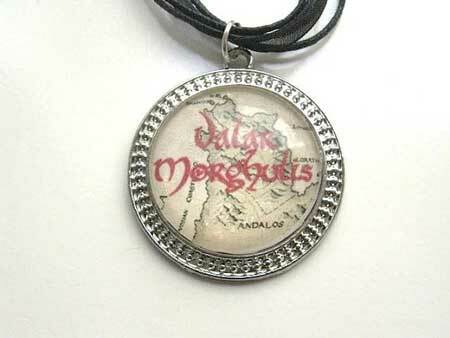 While we’re waiting, why not enjoy these cool necklace inspired by the Game of Thrones houses? 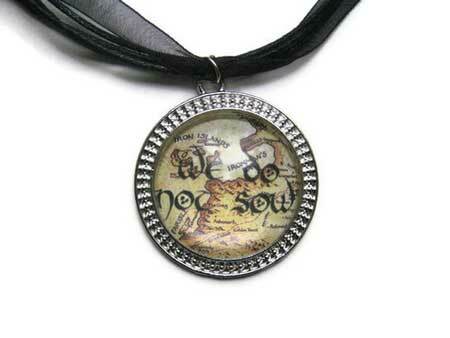 They’re from etsy store The Scottish Girl Shop and are £13.89 each. My favourite is obviously the Stark one with their Winter Is Coming motto. 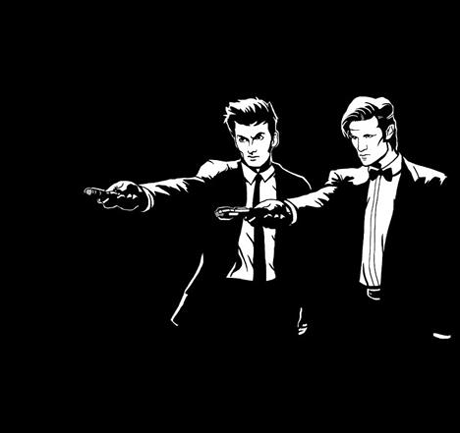 Doctor Who meets Pulp Fiction. Awesome. It’s only available for the next five hours though on TeeFury, so get it while you can! I had heard about Defiance a while ago, but this is the first proper trailer I’ve seen of it. The idea is interesting: it’s an upcoming scifi TV show on Syfy AND an upcoming MMO video game which was created alongside the TV show. I’m super excited to see how that turns out! I like the look of this! The acting doesn’t look fantastic, but the style and world look quite interesting. The series is set in the near future after Earth has declared ceasefire with the Votan, a collection of seven alien species seeking a new home after their solar system was destroyed. The Wikipedia page goes into more detail of the different alien species (well, 5 out of the seven at the time of writing this), each with their own unique facial/body features and even their own language (they’ve got the linguist that created the Dothraki language for Game of Thrones). What do you think of the trailer? Something you’ll end up watching? Defiance is set to premiere on the Syfy channel on Monday April 15th. It’s a slow, lazy Sunday for me. It’s a perfect day for catching up on TV, watching some of my favourite shows. 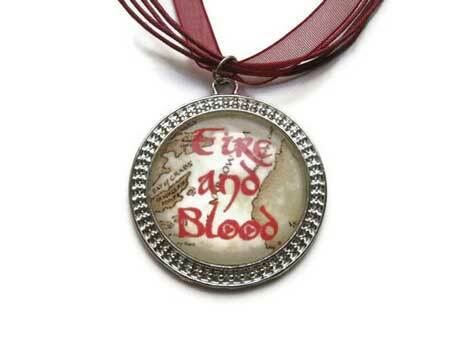 What better way to celebrate such a day with an awesome TV show giveaway? Babylon 5 remains my all time favourite scifi series (although Firefly comes a close second) and I’m happy to giveaway two DVDs to one lucky reader! The first one is The Gathering which is pretty much the pilot of the entire TV show, while the second one is The Lost Tales, the last/latest addition to the series (yeah, I’m still holding a tiny sliver of hope that JMS might one day continue). To enter the giveaway, leave a comment behind with your favourite scifi story. You’ll also get a second entry if you’re following me on Twitter and tweet about this giveaway with the hashtag #missgeeky. The competition is open to everyone, but bear in mind that the DVDs are Region 2 and may not work outside of Europe. The giveaway will end on January 13th after which I’ll randomly draw a winner.